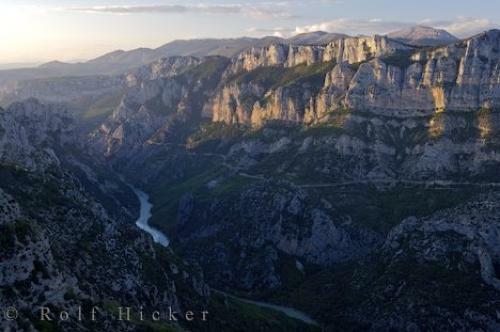 The Grand Canyon du Verdon is a popular travel destination in the Alpes de Haute region of the Provence in France. Verdon River running through the Grand Canyon du Verdon, Gorges du Verdon, Parc Naturel Regional du Verdon, Alpes de Haute, Provence, France, Europe. sightseeing destination in the Provence, France.